Adult. Leonis phase. There are varying amounts of yellow pigment involved with the greenish ETs. 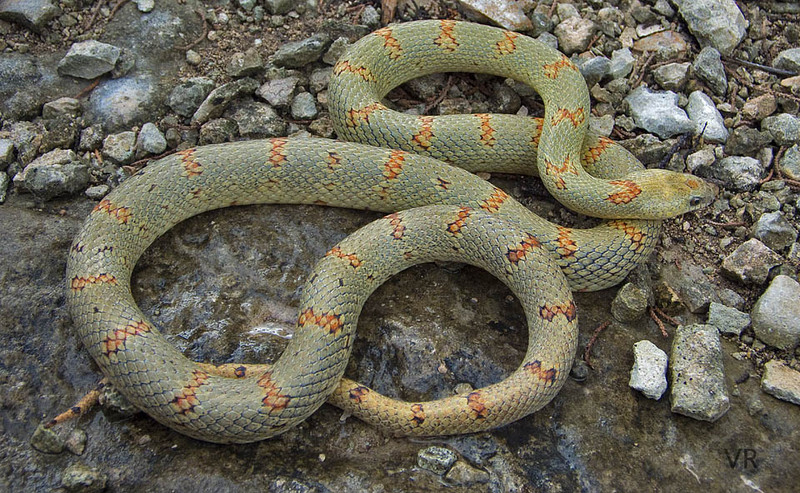 This particular animal is basically a yellow snake overlaid with very fine dark stippling. The dark stippling on this animal pretty much covers the entire snake and, because of the fineness of grain, it has a translucent quality. When combined with the yellow base color, a "greenish" effect results.